To quote Steve Jobs, “The only way to do great work is to love what you do.” When you walk into the doors of Whitlock Flexible Learning Center, one thing is clear, the staff love what they do. Caring for pre-teens and teens that need a fresh start and new perspective on life from across Spartanburg County, Whitlock is taking care of our most vulnerable youth and ensuring their success. Whitlock’s champions seek to provide a space where students can thrive, not just survive. When the students identified the lack of technology as a barrier in accessing Connect’s online resource guide for community opportunities to engage in positive activities, high-quality sexual health programming, and local providers and national resources in other areas of adolescent health, Connect was ready and willing to support a fresh start for Whitlock youth with a new computer lab. Connect, an adolescent health initiative of the Mary Black Foundation, seeks to ensure the youth in Spartanburg have the services, supports and opportunities they need to thrive. Partnership was perfect. On November 13, 2018 a ‘Connect Day’ was hosted at Whitlock as a grand opening of the new computer lab. 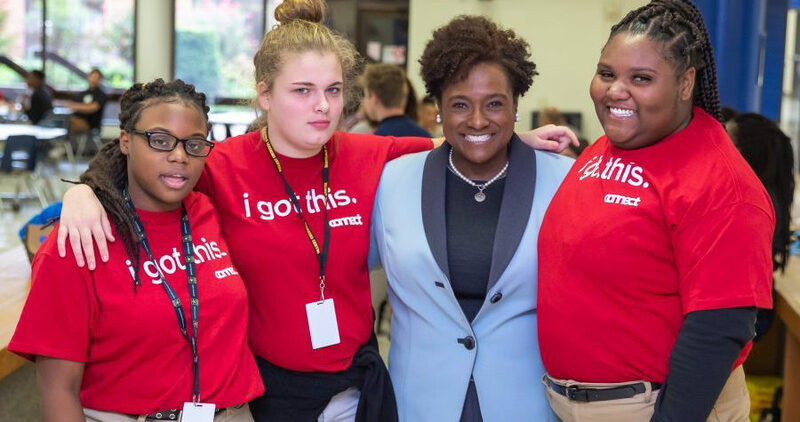 Every student was given a shirt that said “I got this” to wear throughout the day (“I got this” is the motto of Connect). Over 15 different groups of students came through the lab to see the new decor, learn about Connect, explore the online resource guide, and meet some of the local adolescent providers a part of the collaborative. Whitlock is ensuring they are connecting students to health education and community resources. They Got This!